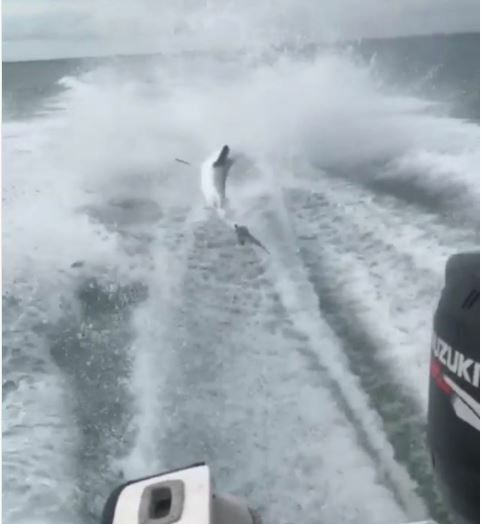 Horrifying footage showing a live shark being dragged at high speed by a boat in Florida has gone viral on Instagram. The distressing video, that lasts for 11 seconds, shows the animal flailing around helplessly as it is continually thrust into the air before crashing into the water’s surface. Meanwhile the people on the boat just cruelly laugh at what is happening. It is believed the video was filmed on Monday as it was shared on a number of social media sites that night and the following morning. 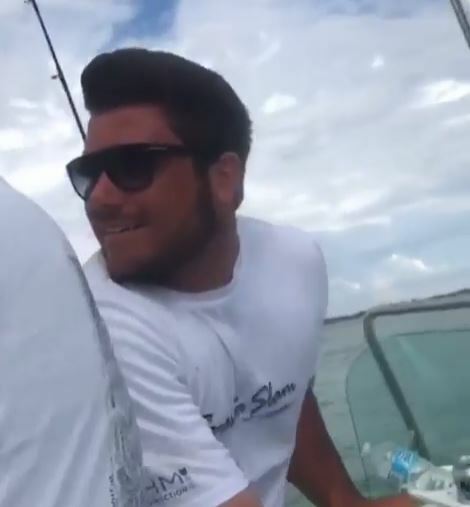 A local charter fishing captain, Mark Quartiano, was sent the video by direct message on Instagram by two users called ‘bearjew48’ and ‘michaelwenzel’. The first account has now been deleted and the second is currently private. He believes these people were on the boat while the shark was being dragged. Outraged by what he saw, Mark shared the footage online. This is just really sick, one of the most horrific things I have seen in 50 years of professional sport fishing. I don’t know if this is criminal, but it would seem to me that this is animal cruelty and they should be prosecuted. There’s just no reason for this behaviour. People have been taking to social media to voice their disgust at the upsetting video. People have lost all sense of right and wrong, it's just whether they can get away with it legally. I will never understand the joy one gets from abusing and torturing another living being ??? Those men shld be punished to fullest extent of the law!They are grown men acting like immature teenagers!Careless,wreckless&cruel! Awful! Although the majority of people online are angry, there have of course been some comments that support the actions of the men on the boat. i am 100% against animal cruelty, but fish have no rights. they are fish, if he wants to drag that fish for 2 weeks it's not illegal. The Florida Fish and Wildlife Conservation Commission have been alerted about the video and are attempting to identify the people involved and where exactly the incident took place. They have stated it is currently to early to talk about what, if any, violations occurred. Anyone with information is urged to contact the FWC’s Wildlife Alert Hotline at 888-404-3922.